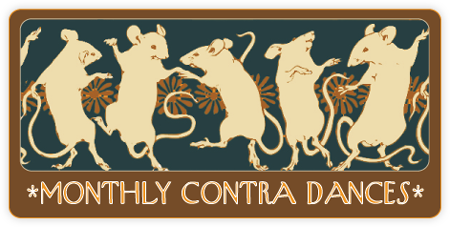 The FFOTM contra dances usually occur on the first Saturday of each month; there is a rare schedule change, so please check the website for accurate information. We dance in Flagstaff at Mountain Charter School located by Ponderosa Trails Park off Lake Mary Road at 311 W. Cattle Drive Trail in Flagstaff. Click here to access driving directions from your location. 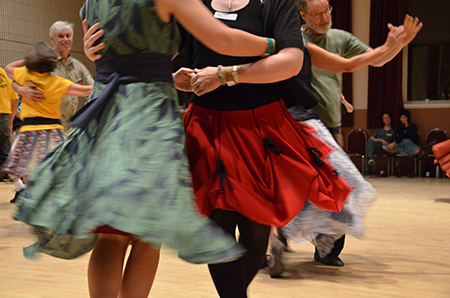 For Clarkdale dances, check our calendar for updated locations. Email flagstaffcontradances@gmail.com for more information. Just Desserts practices every Thursday evening at Pine Forest Charter School, 2257 E Cedar Ave., Flagstaff, running from 7-9pm. Click here to see where to park and enter the school for practice. 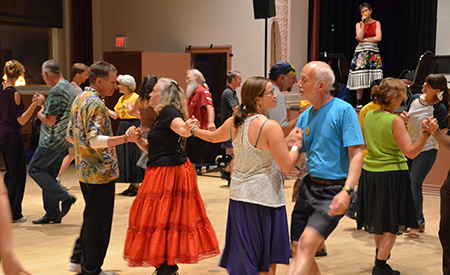 Just Desserts is an open band which plays for the FFOTM Contra Dances roughly 6 times a year. If you’d like to join us, call Pat Dunham (928-266-6395) or just show up at practice!